You’re intrigued by the VR & AR space and you’re looking for a way to reach local communities and help produce the groundswell of talent. Your mission is to help entrepreneurs and technologists build better companies and provide education for upcoming generations. For your project to take over, you’ll have to compel founders to use your product, investors to advocate it to their portfolio companies, and community builders to promote it with their audience. That’s a bold plan. You tried paid ads but most founders are building, not wasting time on Facebook - and even those who click aren’t converting well. Why? Founders follow the advice of other founders. To be credible and authoritative, your message has to come from one entrepreneur to another. And if you’re to share your message with the world, you’re going to need a whole lot of founders. 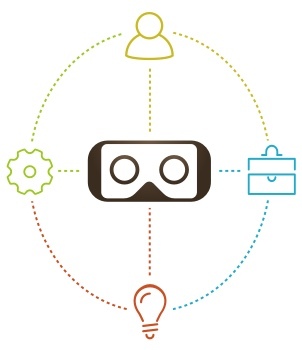 Here’s where our Idaho Virtual Reality Council team comes in. We’re helping founders get the connections they need and gain access to the best resources available through events, content, and partnerships. Idaho Virtual Reality Council reaches founders, investors, and community builders in the state of Idaho. Our team won’t just share your story. We’ll help you perfect it to connect and inspire entrepreneurs in person, online, and through special custom projects. Tell us your goals below and let’s get started.